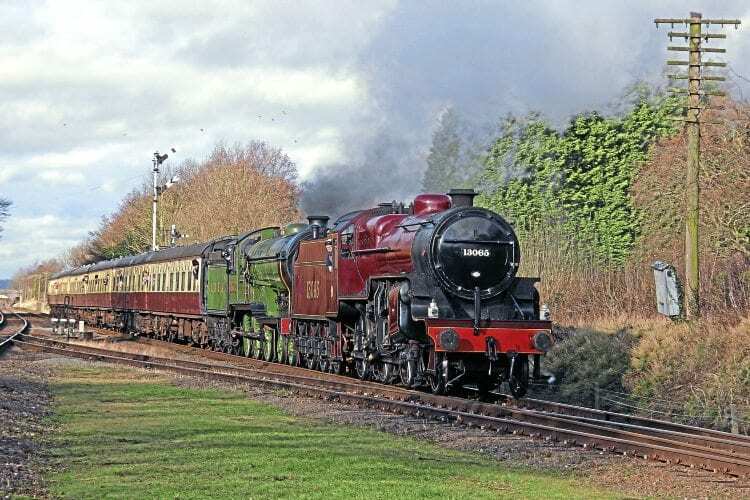 TWO ‘Big Four’ liveries provided a foil for British Railways’ dominance at the Great Central Railway’s Winter Steam Gala on January 26-28. LNER-liveried ‘B12’ No. 8572 from the North Norfolk Railway joined East Lancashire Railway-based LMS ‘Crab’ 2-6-0 No. 13065 for the successful three-day event, which also saw several members of the resident steam fleet in action on a variety of passenger, mineral, freight and van trains.